Manchester United’s winning streak continues! The Devils are still unstoppable, as they comfortably won 3-1 at the Emirates, beating Arsenal in FA Cup fourth round. Goals came from Alexis Sanchez and Jesse Lingard in the first half, before Anthony Martial added third to make sure Arsenal do not get back into the game as Pierre Emerick Aubameyang was the scorer for the hosts. Here are the things we have learned from Manchester United’s eighth consecutive win under Ole Gunnar Solskjaer. 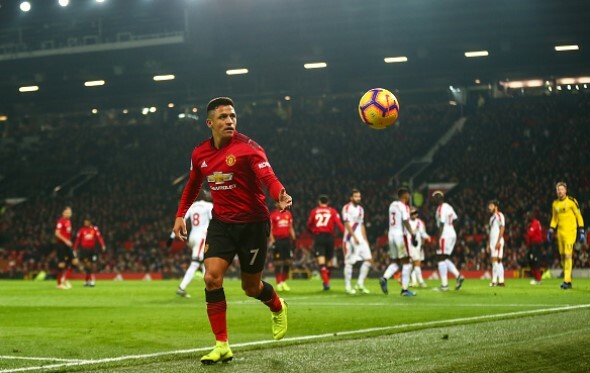 Manchester United played in a sort of 4-3-1-2 formaton, with Jesse Lingard tucked in between the midfielders and the forward duo of Alexis Sanchez and Romelu Lukaku. That meant several things – Paul Pogba still had the chance to roam around as Nemanja Matic and Ander Herrera were alongside him. More importantly, Jesse Lingard had the chance to run forwards from behind, adding agility and unpredictability, while Sanchez and Lukaku were both allowed to move to the left and right, respectively. And what we told you, happened – Lukaku playing on the right wing turned out to be amazing. His passing and creativity was unusually great and he assisted first two goals, for both players that operated next to him. And that trio, with Anthony Martial when he came on, makes for a very good combination when trying to get the most out of counterattacks. United are becoming a real beast in transition. The third goal encapsulated that, when the Devils attacked with just three players, but scored after Martial’s precise rebound. Solskjaer has allowed the forward players more freedom from defensive activities and whenever they get the ball, they look ready to blast right on opposition’s goal. That hunger is incredible. We talked prior to the match how many injury problems Arsenal have this season and especially in defence. Hector Bellerin tore his ACL and will be out for up to nine months, while Rob Holding injured his knee. So what happened against Man United? Sokratis injured his leg too, getting off the pitch after just 21 minutes. And then 40 minutes later, Laurent Koscielny also had to be substituted due to injury, as Matteo Guendouzi replaced him. Two more defenders injured will leave Arsenal without many options and do not be surprised if their form falters again. This tweet from James Ducker from The Telegraph is something really important for Manchester United. It shows you quickly how much more goals the Devils are scoring since Mourinho’s departure, but even more so, it shows you that all attacking players are sharing those goals. All of the mentioned players are both scoring prolifically, all of them are in great form and mood, while also adding assists too. That is a testament to Solskjaer’s ability to rotate the players in a meaningful way and still have his players in a proper structure on the pitch. There were some smaller variations on the formation being used, but all attacking players still continued producing. May it last for as long as possible.